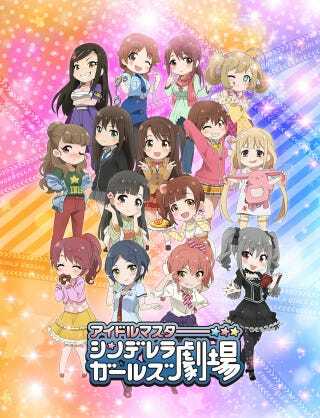 The Official website for the anime adaptation of The IDOLM@STER Cinderella Girls Gekijoit has revealed the staff, a new promotional image and the premier date, which is in April 4. Th episodes are in short format with a duration of 5 minutes. Mankyu (Donyatsu) is directing the anime at Studio Gathering.